Visby is a Swedish town located on the island of Gotland in the Baltic Sea. 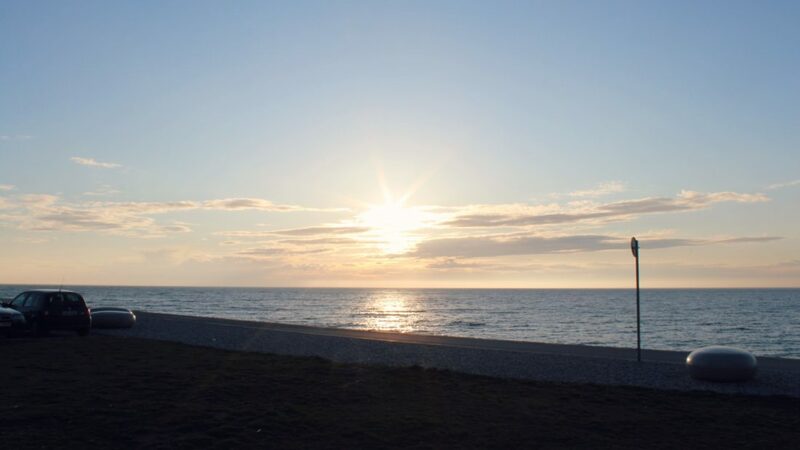 It is only accessible by boat and air and this summer town is a great tourist attraction for thousands of Scandinavians during the summer season. 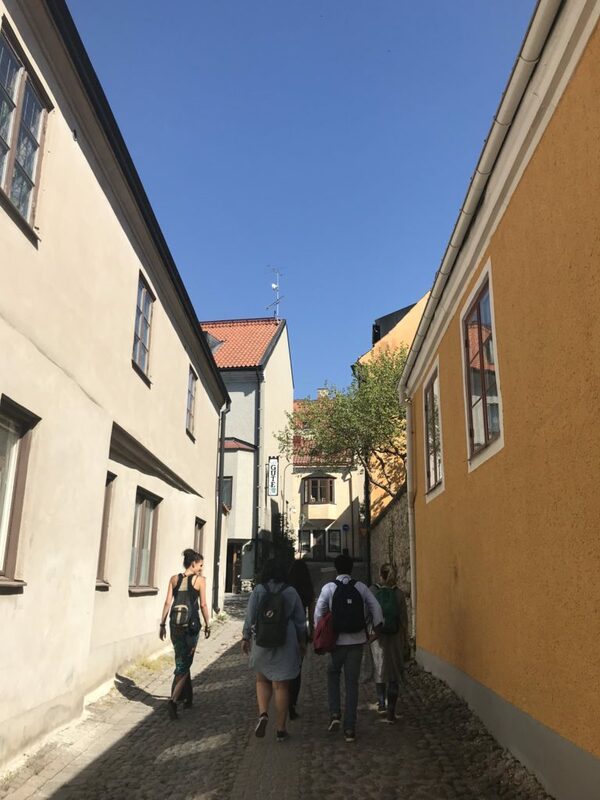 This past week 10 students from around the world who study in Sweden got the chance to present their Masters fieldwork at a session held by ICLD in Visby. 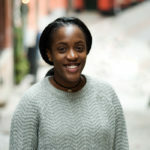 In my previous post on fieldwork abroad, I mention the different grants available to international students and this fieldwork grant was for thesis focusing on local development. 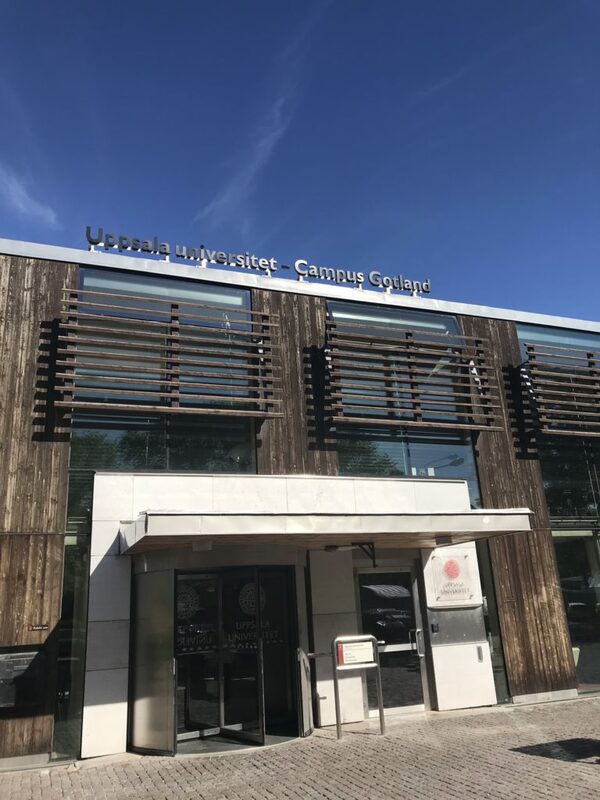 Our workshop was held on Uppsala University – Campus Gotland (previously known as the University of Gotland) and I was amazed to find that they offer programmes in humanities, law, technology, social sciences and languages! The views from the library are to die for! You can literally see the sea from your seat. 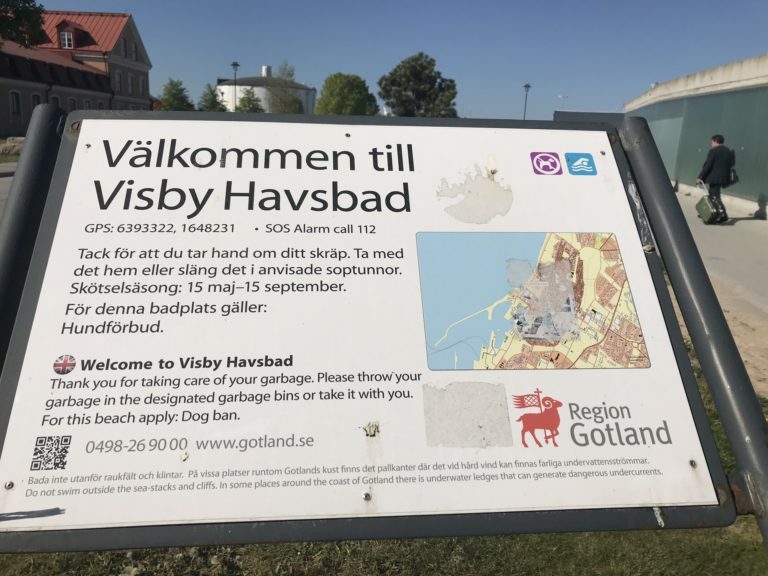 The first thing everyone mentioned when we arrived in Visby was the fact that it did not look like it was Sweden. 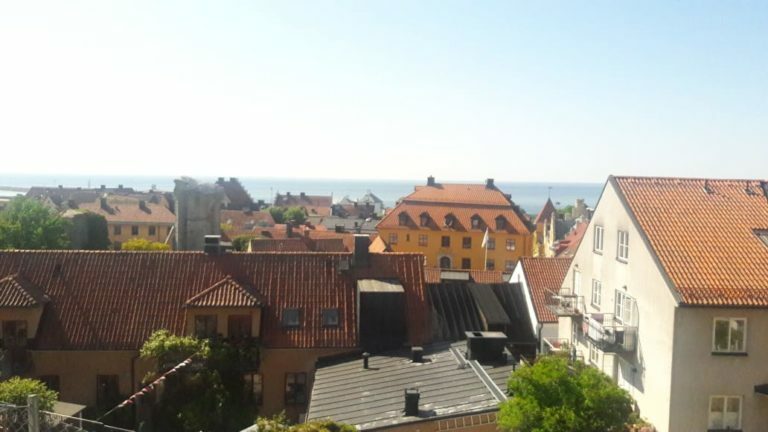 I know that sounds strange but after watching a million seasons of Game of Thrones, Visby is reminiscent of cities like Braavos. The streets are narrow with small passages and are built adjacent to each other. It reminds you of Gamla stan in Stockholm but with a more Medieval feel. 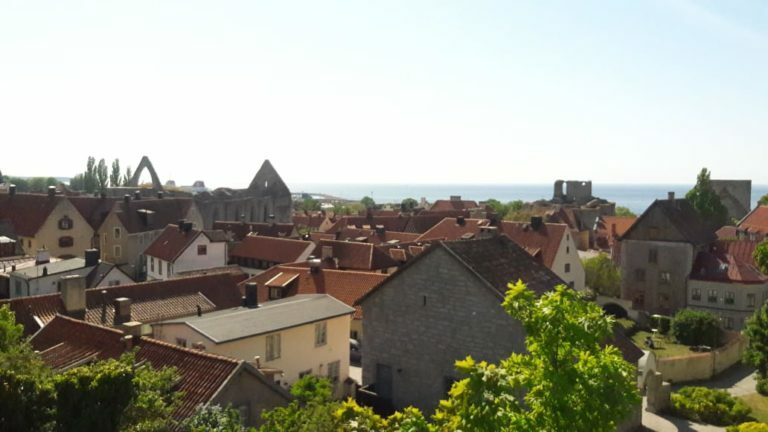 The best view of Visby as we were informed by our hosts, is up from Visby kyrkan where you climb up what feels like 5000 stairs to get to the top of a hill. But it is totally worth it. Pictures really don’t do the view justice. 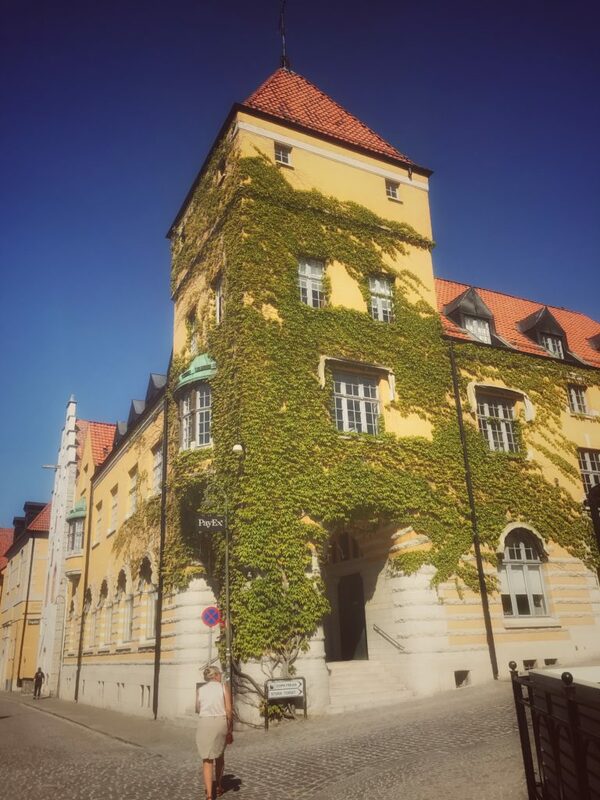 It’s been an exceptionally warm spring and the flowers are in full bloom making Visby extra beautiful. 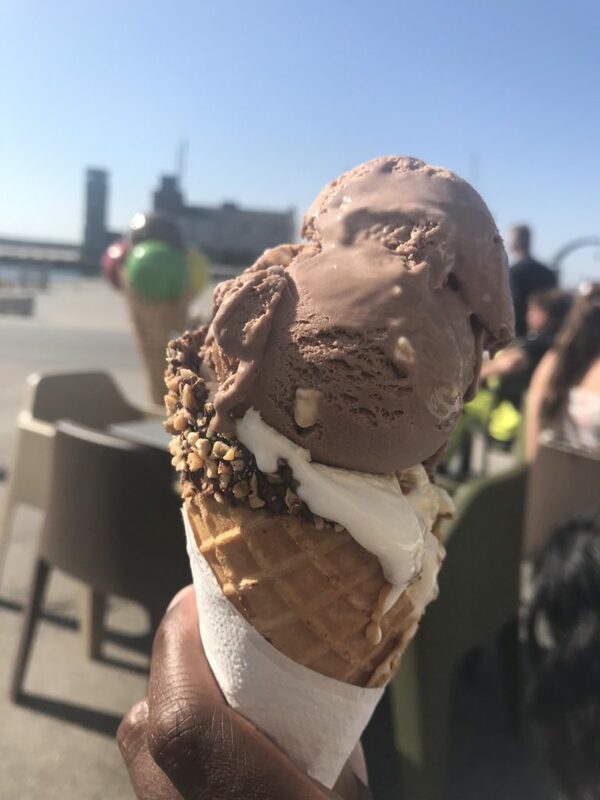 My extreme sweet tooth led me to pester my colleagues to take a walk to an ice cream store that I heard was famous across Europe. 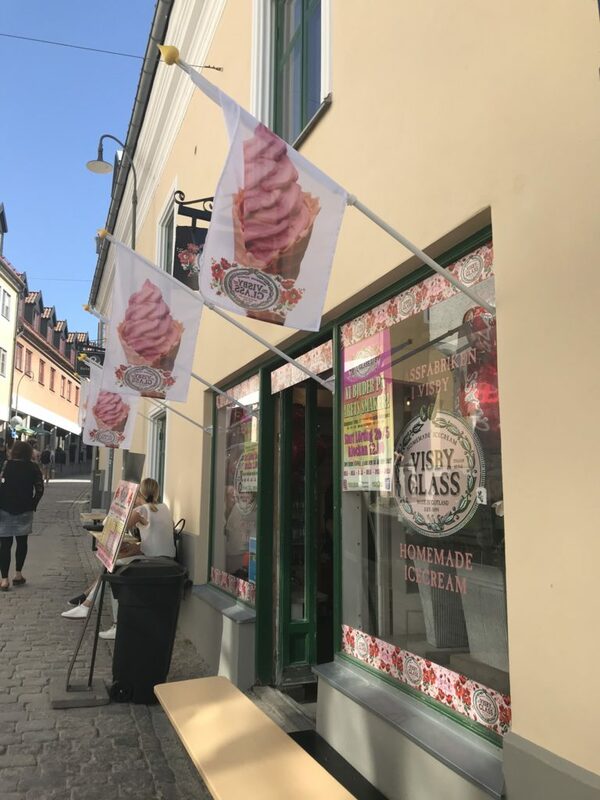 Icream shops are in plenty supply in Visby. 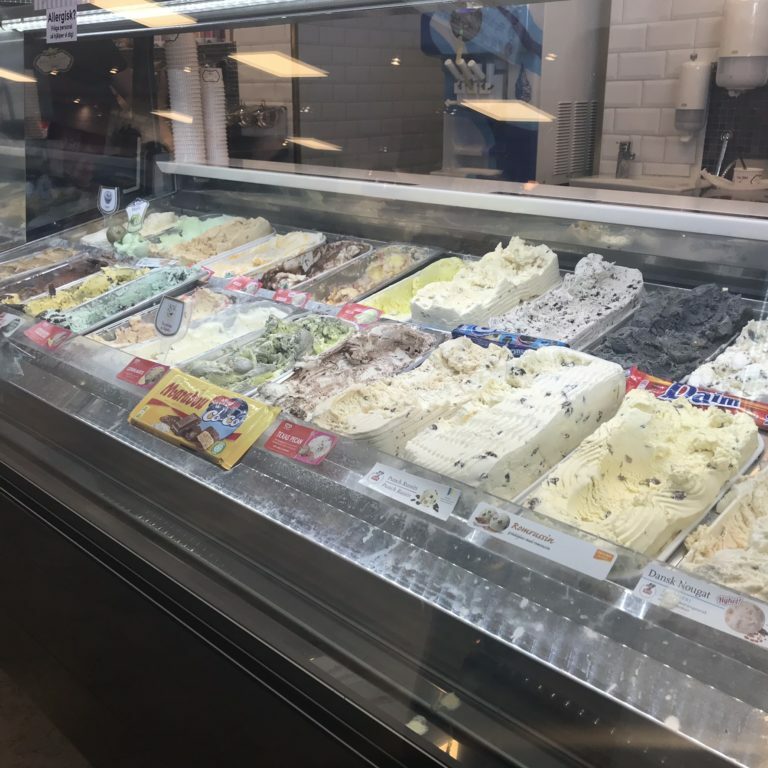 Like this homemade ice cream shop. Finally we arrived at the famous Glassmagasinet! If I could choose where to spend all summer long it would be camped outside this ice cream ‘restaurant’ until I tried all 305 flavors. Their website counts how many new flavors they have and as of today it is 305. It literally took me half an hour to choose which flavor I wanted. With flavors like Dom Pérignon, cheesecake and licorice. The choices were endless! So, I finally ended up with popcorn and rocky road chocolate and salted caramel. I even splurged and got a lyx (luxury) cone dipped in chocolate and nuts. 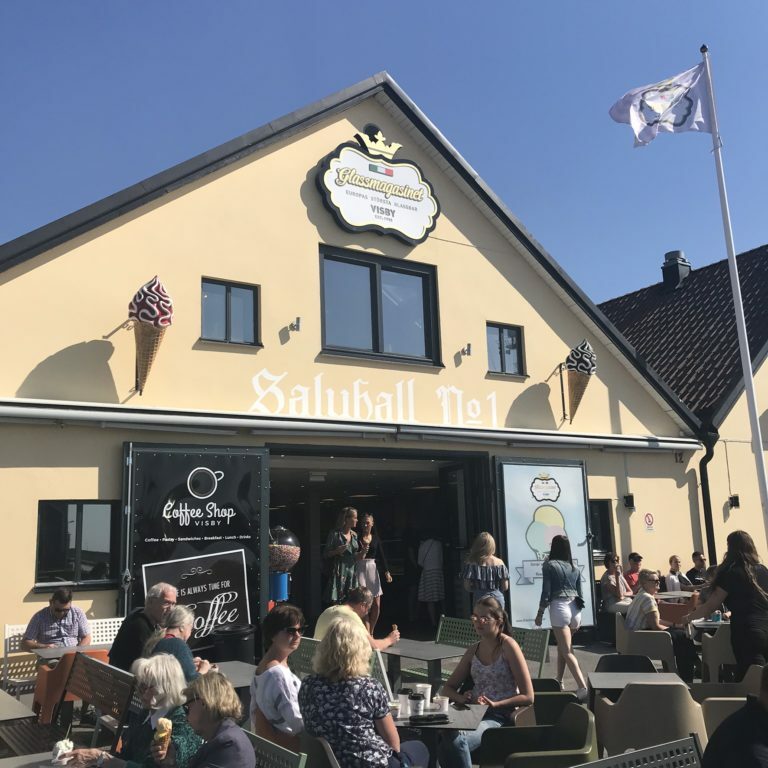 I will never forget Visby and I can thank ice cream for that! That popcorn flavor was something out of a musical! I think I hummed while I ate my cone. 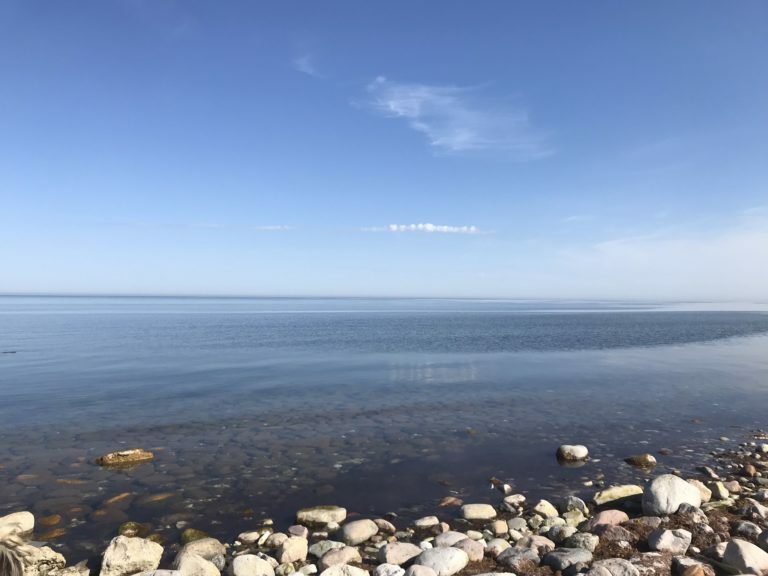 Be sure to check out Marina’s post on her visit to Gotland here. 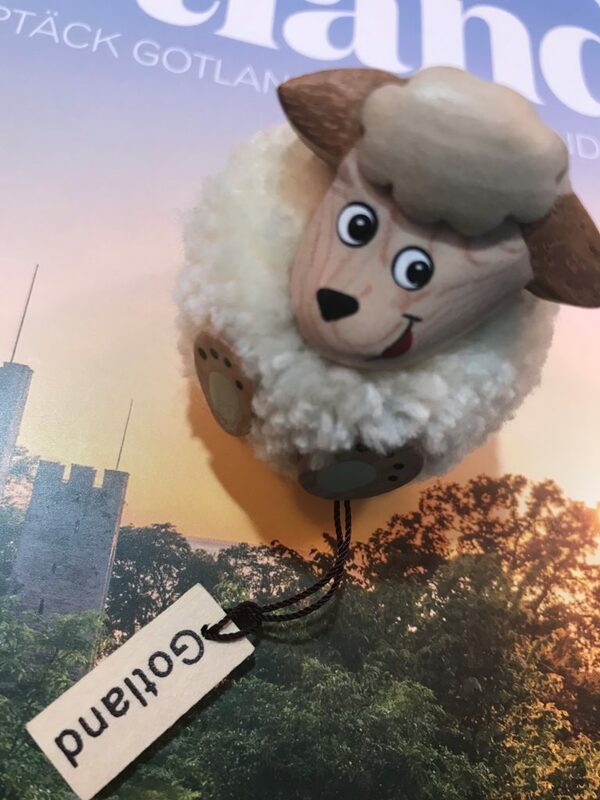 To my delight, Gotland is famous for its sheep (får). 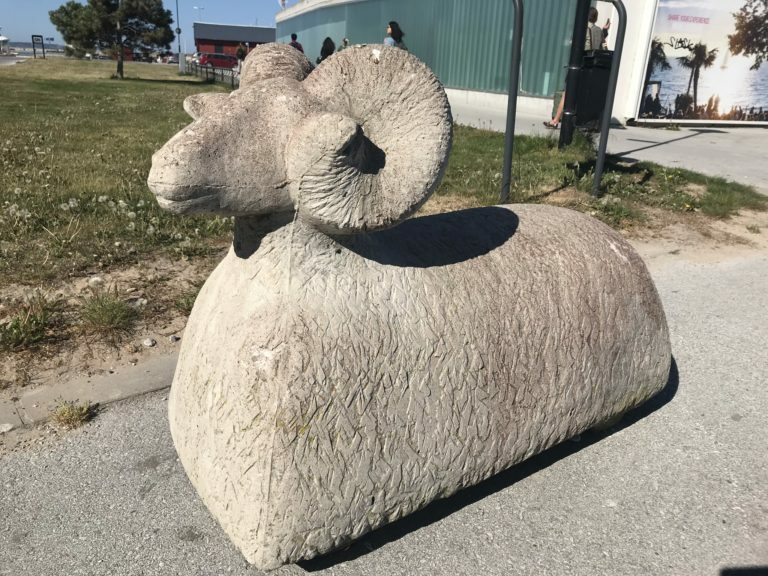 This is easy to notice as all around the city there are pictures and statues dedicated to sheep. 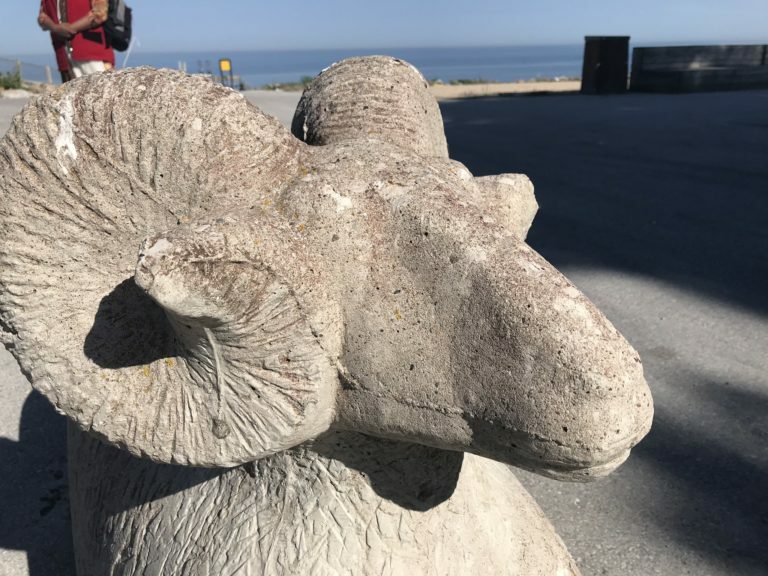 A quick google search reveals that the Gotland breed is famous for its fur. I even got myself a cute little får fridge magnet. My Chinese zodiac is Year of the Sheep so I was quite happy! 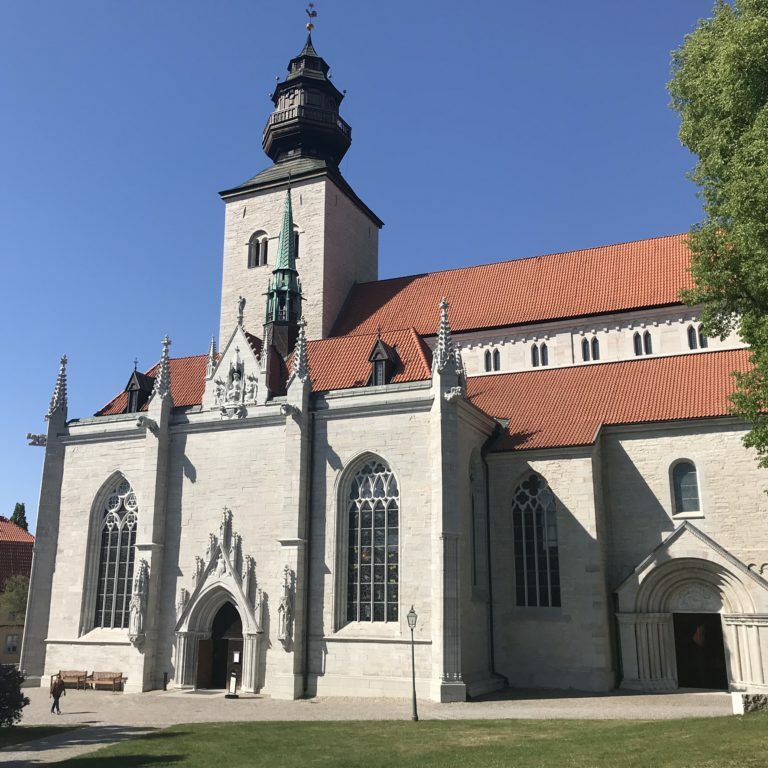 Visby domkyrkan (cathedral) is the third oldest church in Visby. 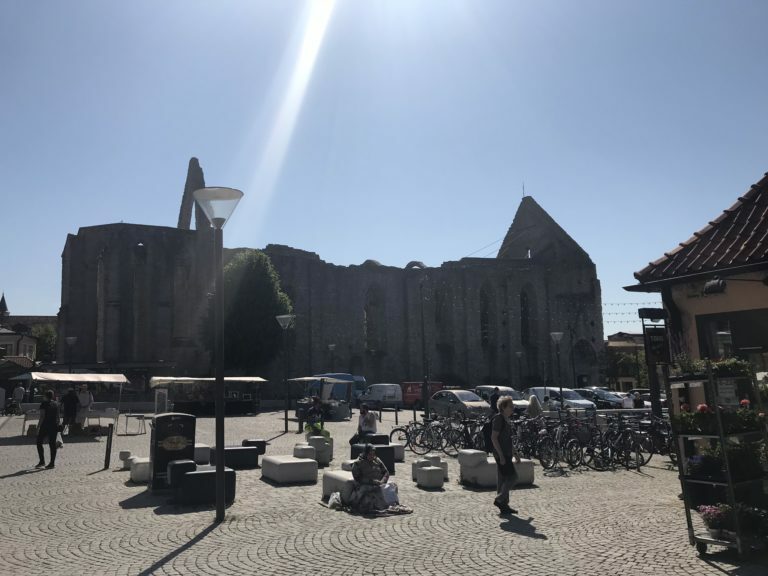 It was built in 1225 as a guest church for German traders. 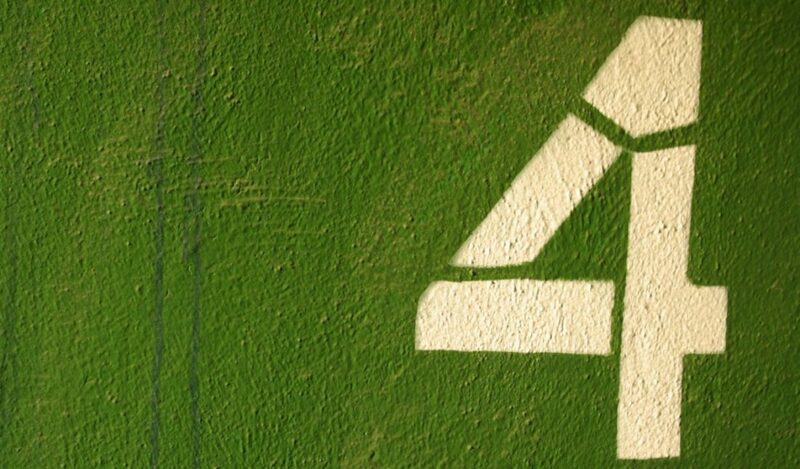 Today, it is used for most of the towns weddings, baptisms and funeral services. 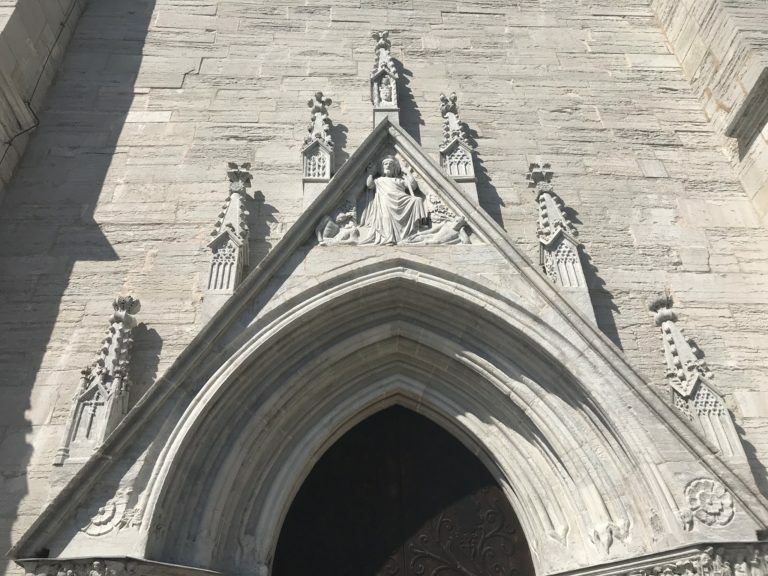 The gargoyles on the sides of the building were so cool! 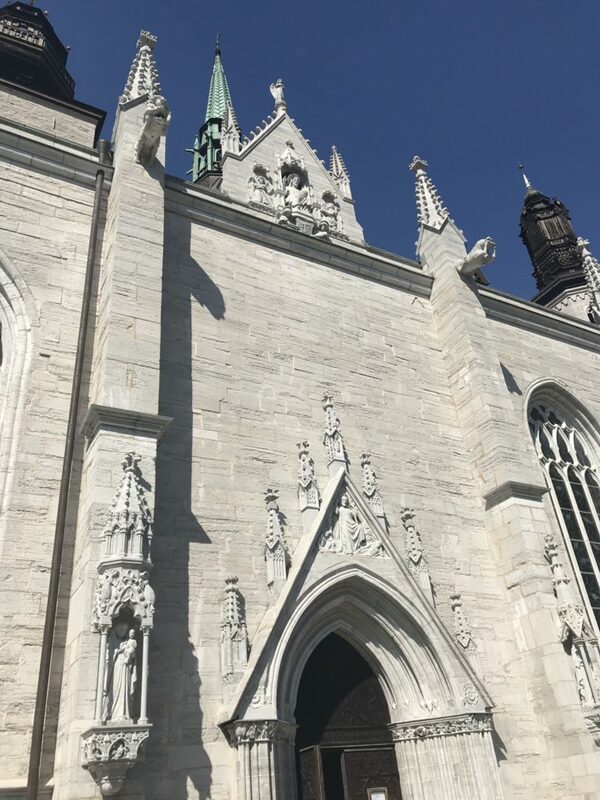 So were the spires and the statues that surround the massive church. 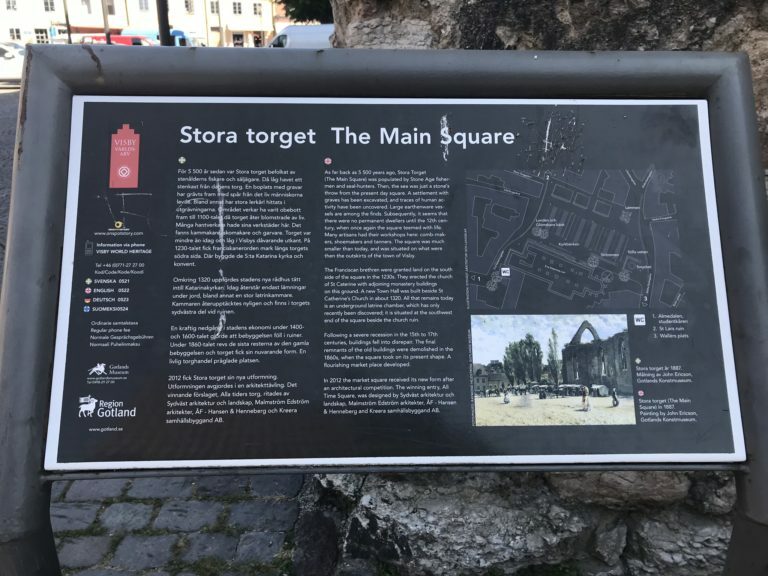 The Stora Torget is a square located in the central part of Visby that was reconstructed in 2011. 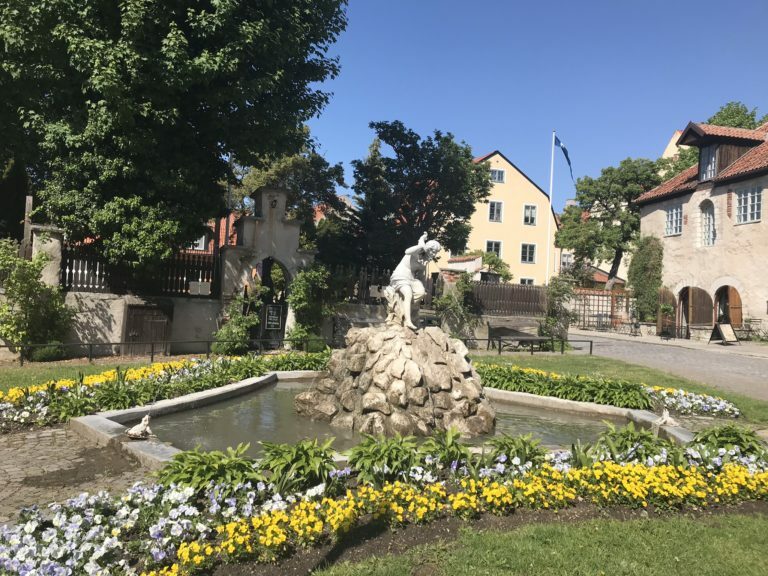 Sankta Katarina Churchyard is located in the center of the square and is a well known landmark in Visby. 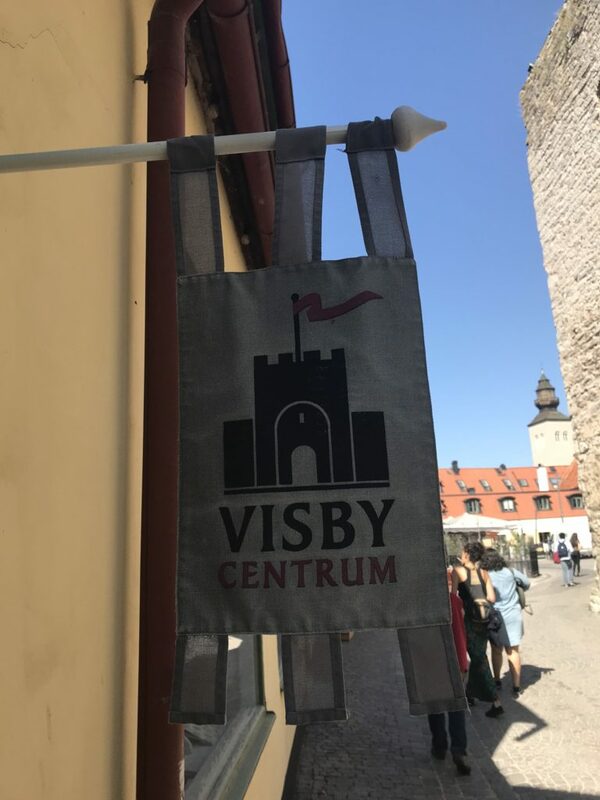 Visby is completely worth the hype! 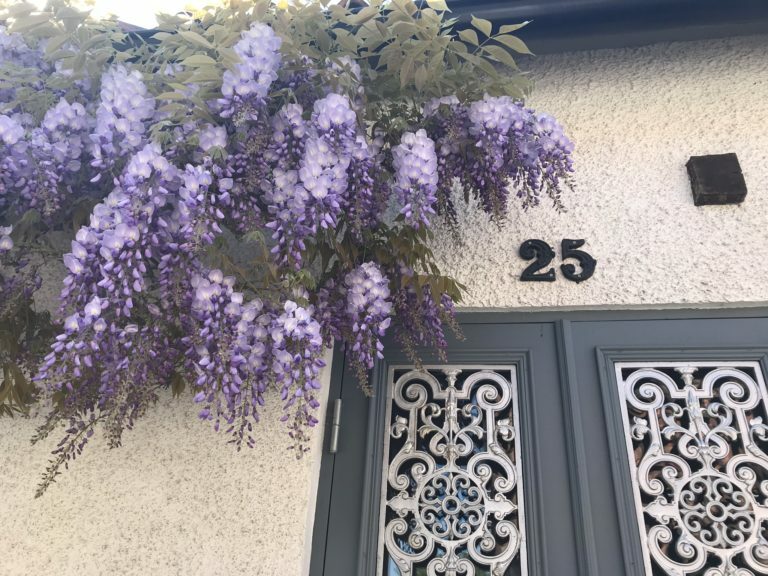 It’s beautiful to visit in the Spring and I’m sure it’s even better in Summer. If you have some time to kill in the summer. 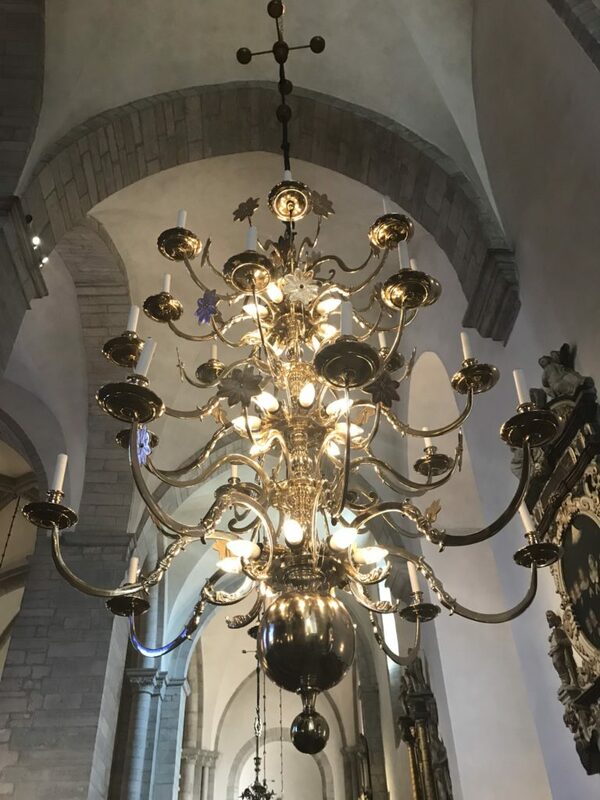 It’s worth visiting Visby to see a different side of Sweden and of course to try one of the 305 flavors of glass at glassmagasinet. I highly recommend popcorn. Smögen is a town on the west coast of Sweden located in Sotenäs Municipality, Västra Götaland County. 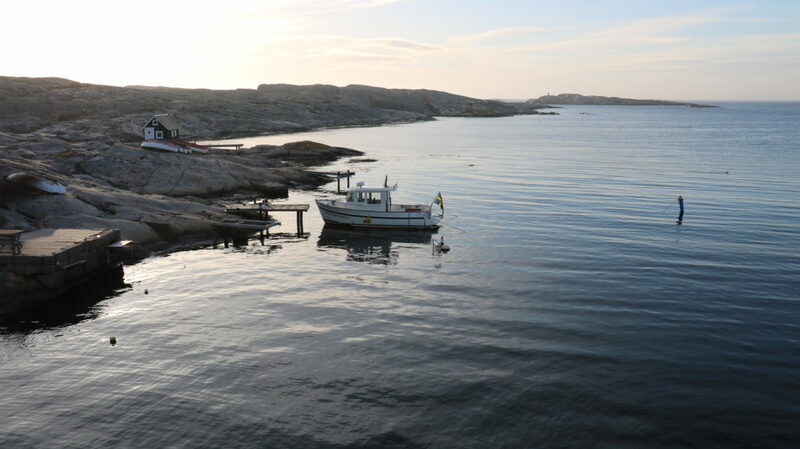 On a recent trip to Smögen, I investigated why it’s known as the ‘Summer town’ of Sweden.